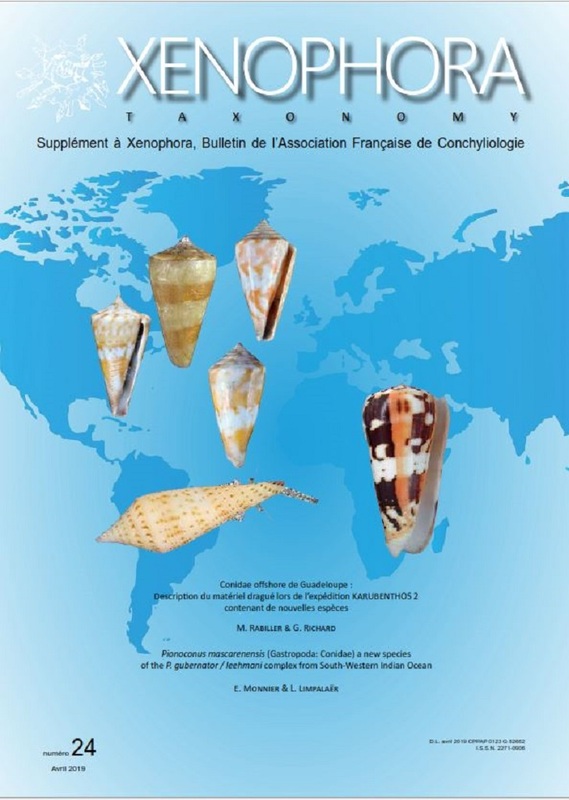 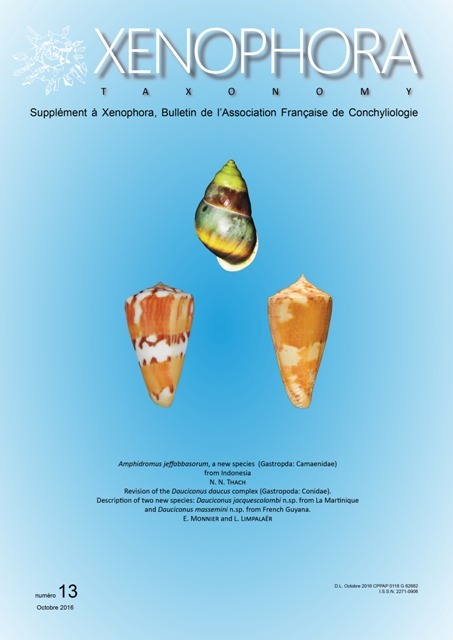 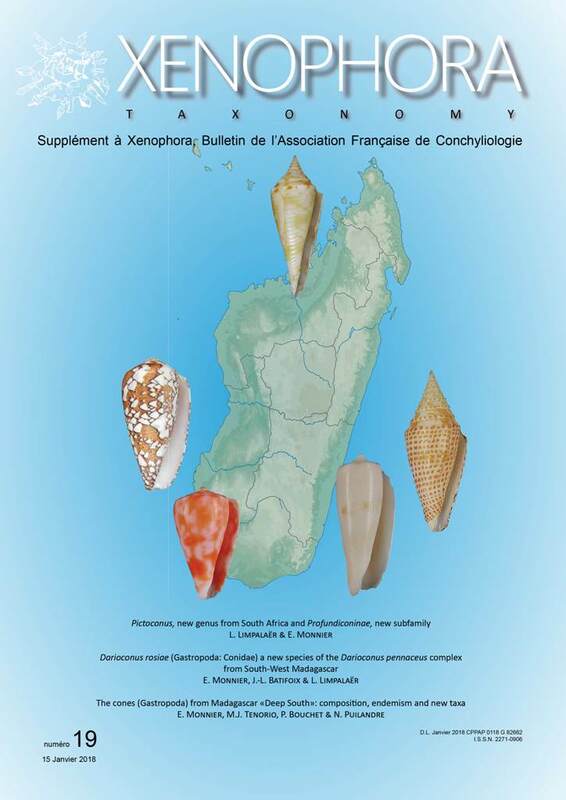 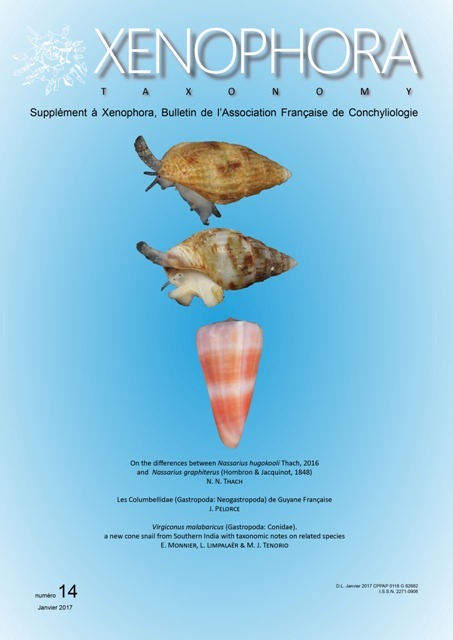 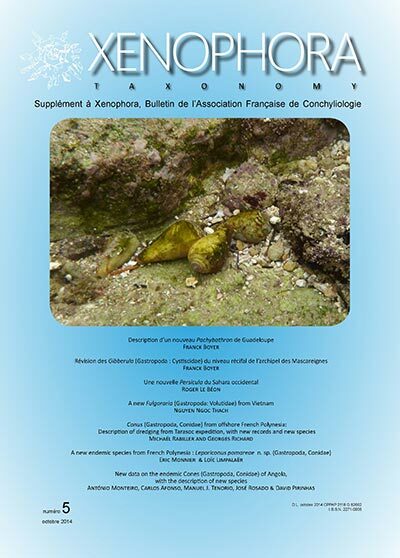 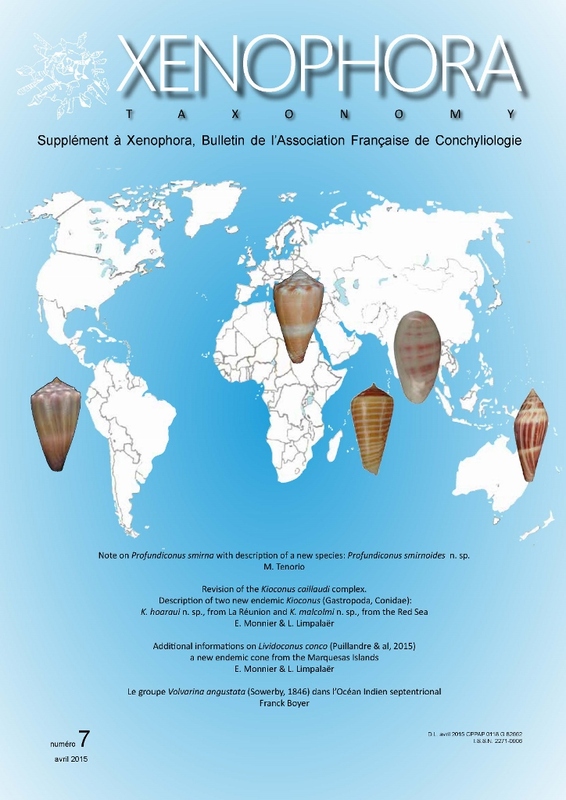 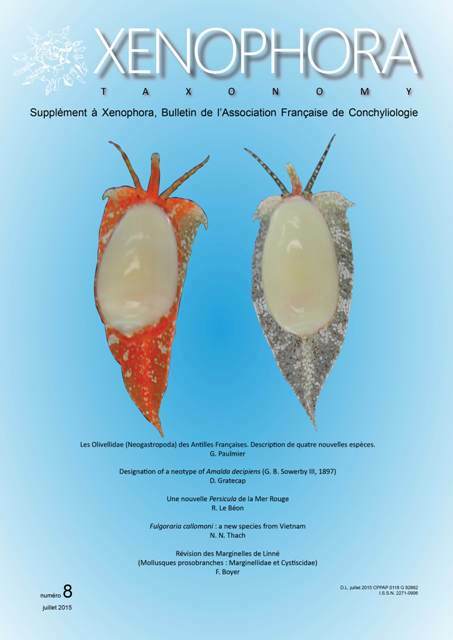 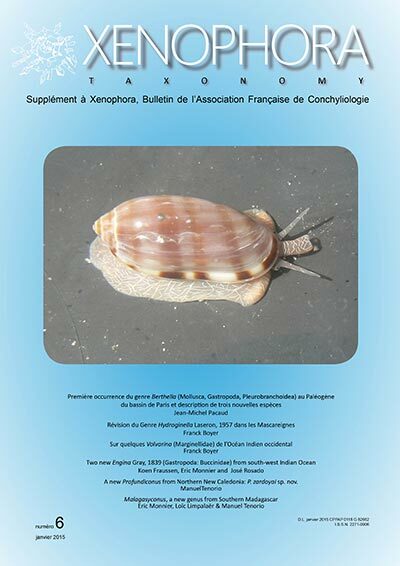 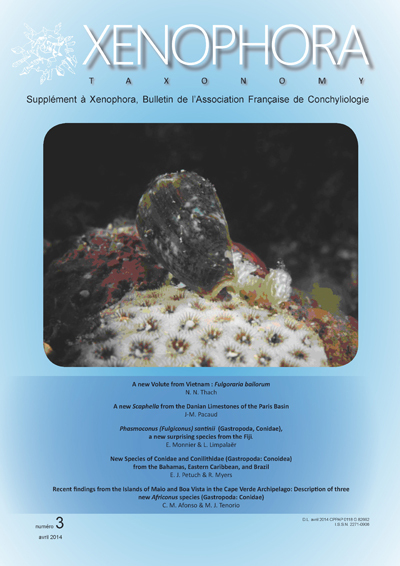 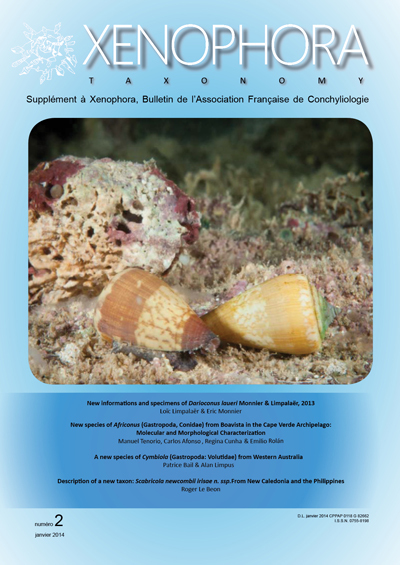 AFC and its publication Xenophora Taxonomy now publish taxonomic works such as descriptions of new species, revisions at the superspecific level of molluscs, as well as other scientific articles. 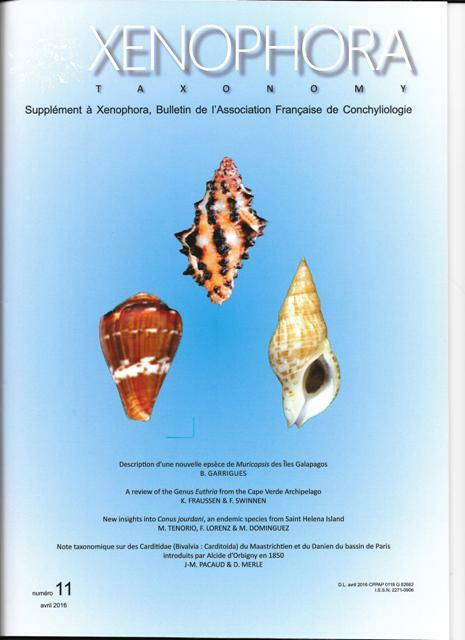 The manuscripts must comply with the rules and recommendations of the International Code of Zoological Nomenclature (ICZN). The manuscripts will be submitted to a college of recognized personalities before being published. This committee will give its opinion on the relevance of the article, may suggest modifications or refuse publication. 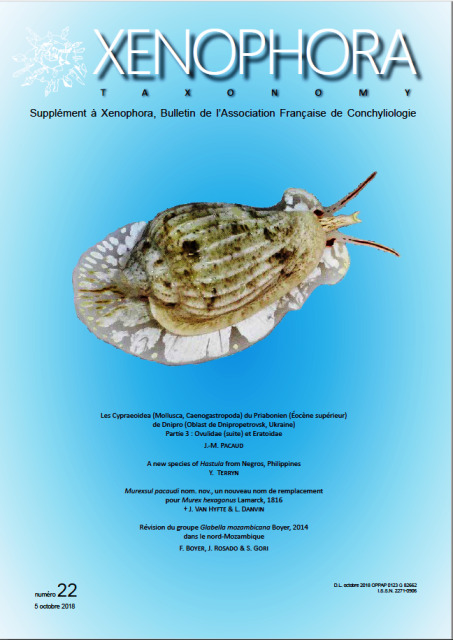 These articles will be sent to the editorial office of Xenophora (redaction@xenophora.org) in English (with an introduction in French). Illustrations will be provided in high definition, CD or other digital media. 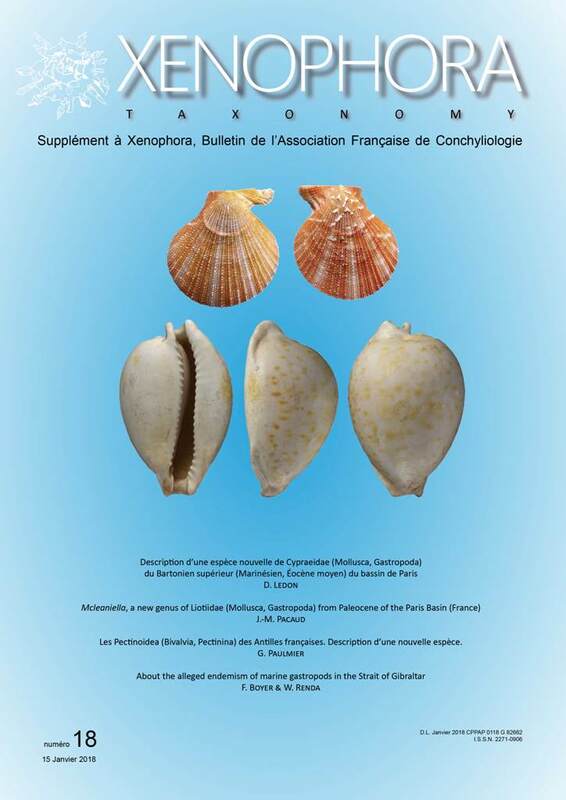 The pictures will be color preferably. 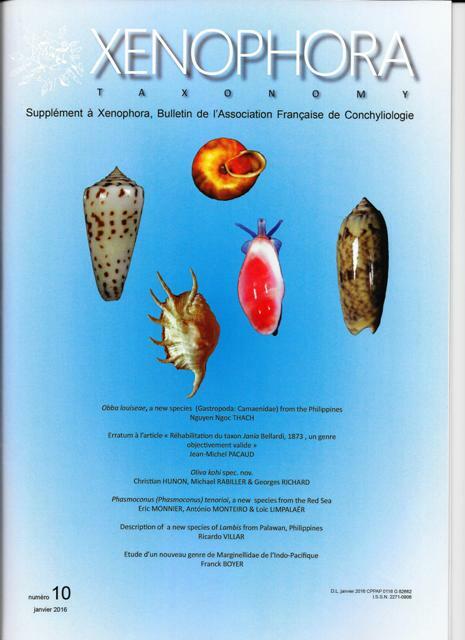 The legends of figures and plates must be given. 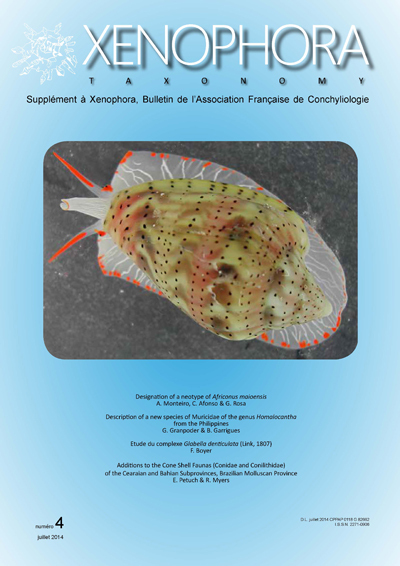 The texts will be accepted in the format * .doc, * .txt or * .rtf, and the tables in format * .xls; The photos will be in jpg format with a resolution of 300 dpi. The photos submitted may be used by AFC-Xenophora for any other AFC publication, magazine or website. 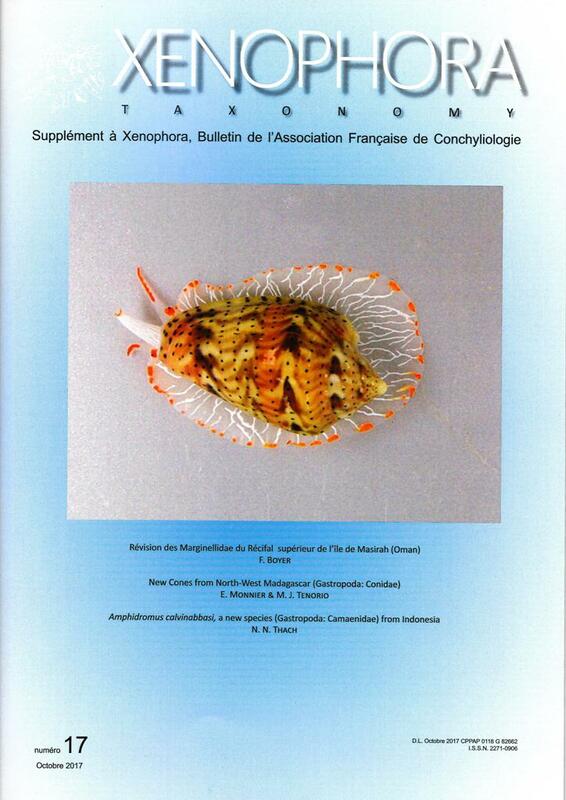 The publication is free of charge. 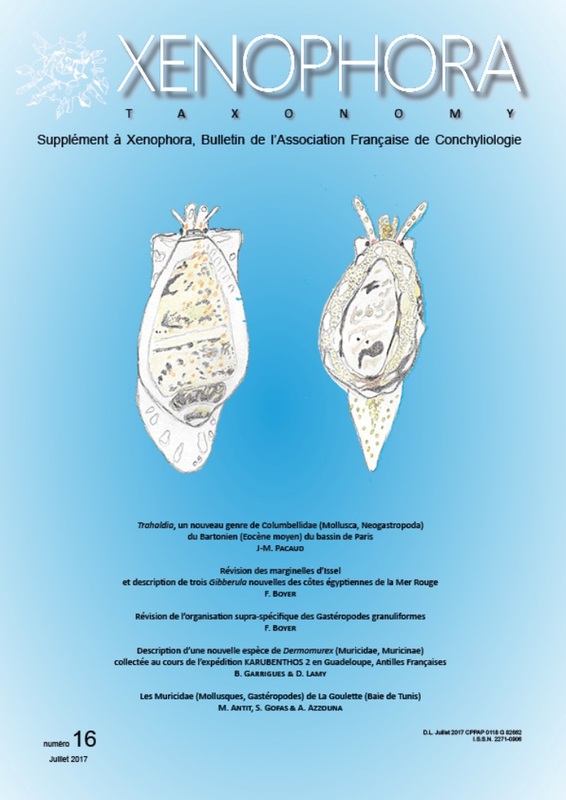 The first author will receive 10 copies of the publication, the others will only receive 5 copies. 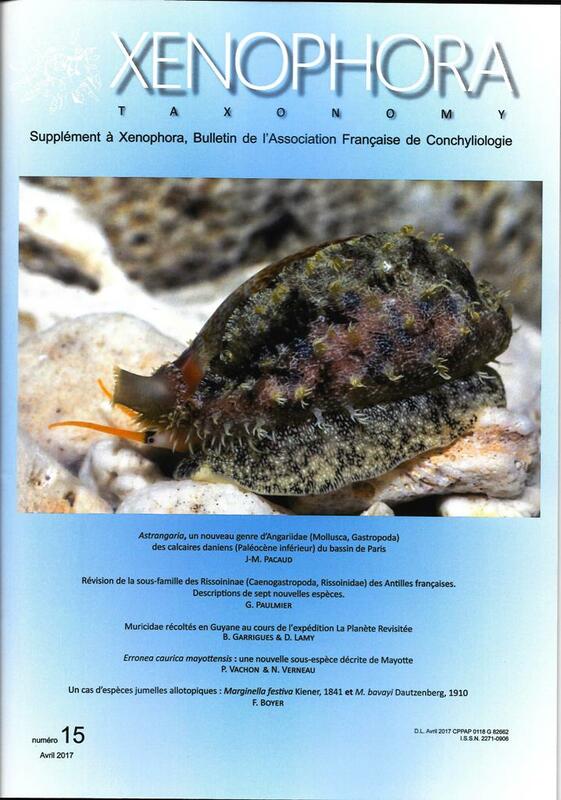 How to receive this publication? 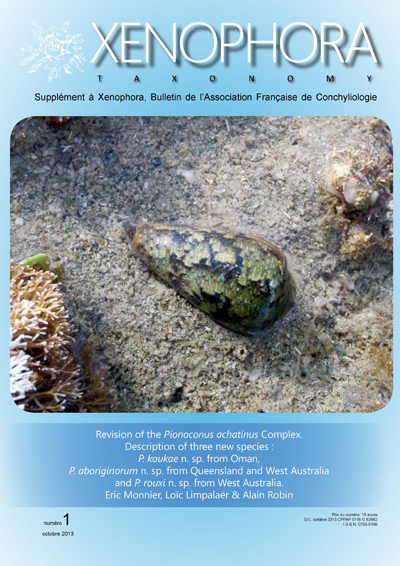 Members of the AFC receive this publication with their subscription. 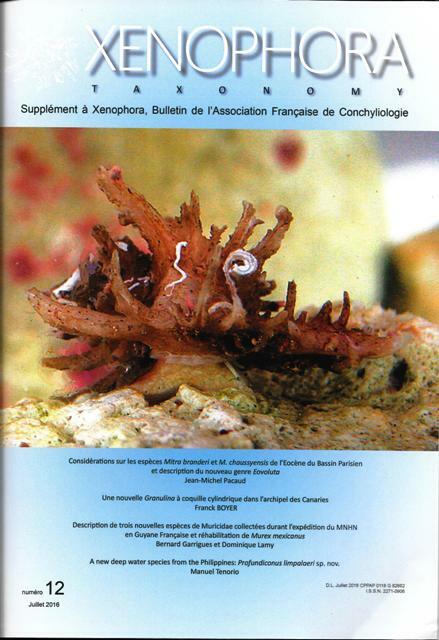 Non-members of the AFC will get all information by writing to souscription@xenophora.org. 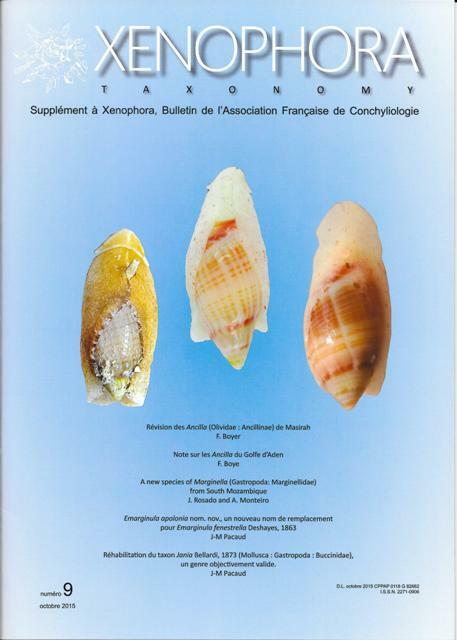 You can click on the cover of each issue to see it appear in large size. 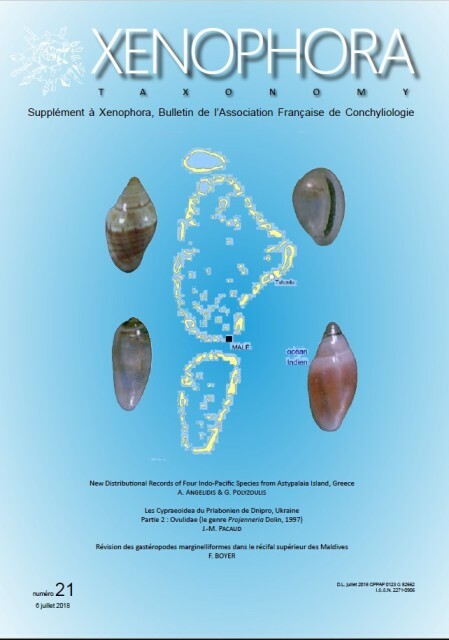 Then use the "Back" button of your browser to return to this page. 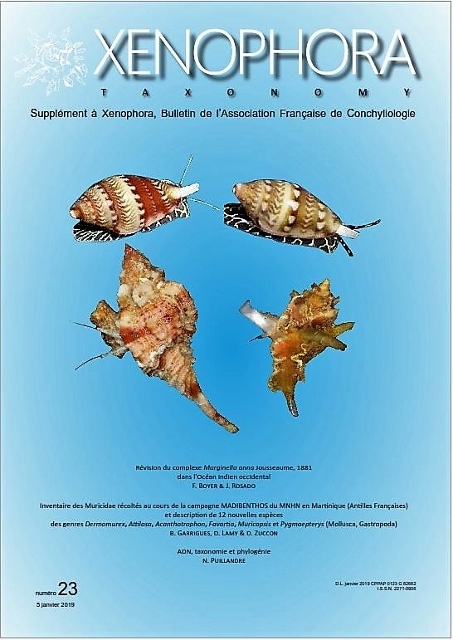 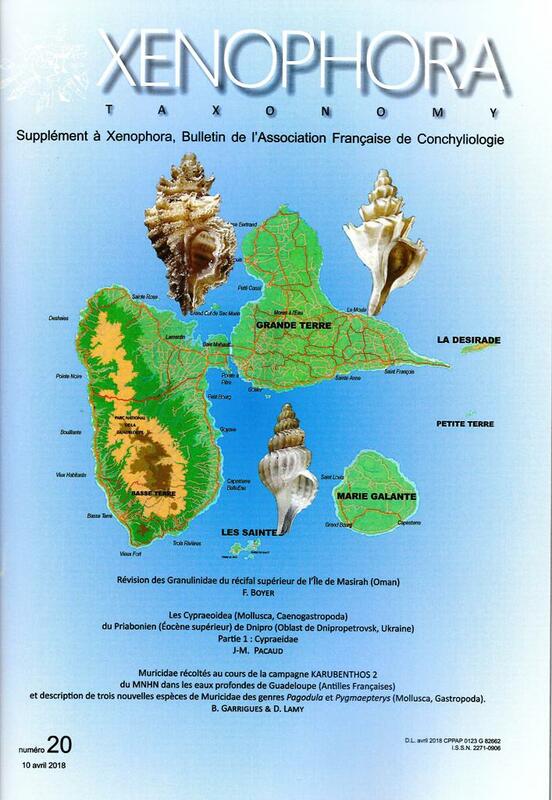 Révision de la sous-famille des Rissoininae (Caenogastropoda, Rissoinidae) des Antilles françaises. Revision of the Pionoconus achatinus Complex.